Robust due to safety glass: The elegant, 6 mm strong, safety glass platform is shock- and impact-proof. 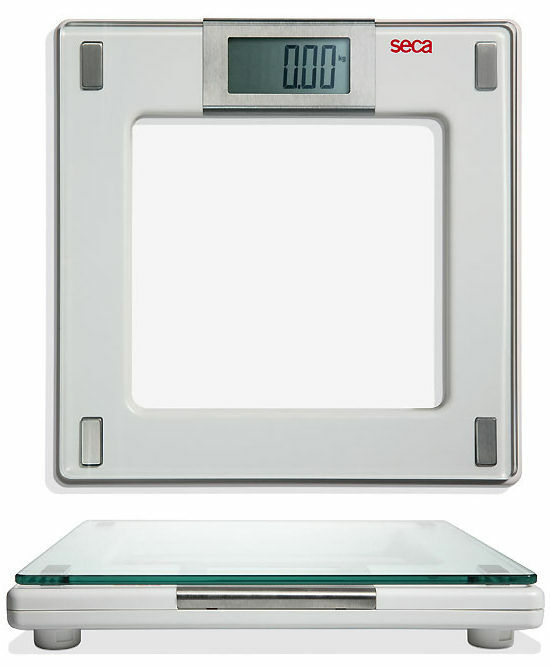 The glass platform is safely attached to the plastic base of the scales by means of modern stainless steel elements. First class stainless steel design: The stainless steel display underlines the superior quality of the seca Aura 807. The easy-care, hard-wearing surface guarantees a long life.